Christmas comes with a lot of expectations, doesn’t it? Receiving that much wanted gift, making everyone’s favorite cookies, spending quality time with loved ones, & enjoying lots of laughter and fun. The expectations cause undue pressure and are almost unrealistic. Over the years I have learned to put less effort into all the hoopla that surrounds Christmas. Oddly enough, it seems that the less energy I put into all the Christmas preparation the better things turn out. Interesting, huh? Yet inevitably something always happens to put a damper on the festivities. This one has to work late. That one doesn’t like their gift. Someone else fails to show up or even call. Part of the meal doesn’t turn out. It’s like mischievous elves are trying to test me and steal my peace and joy. 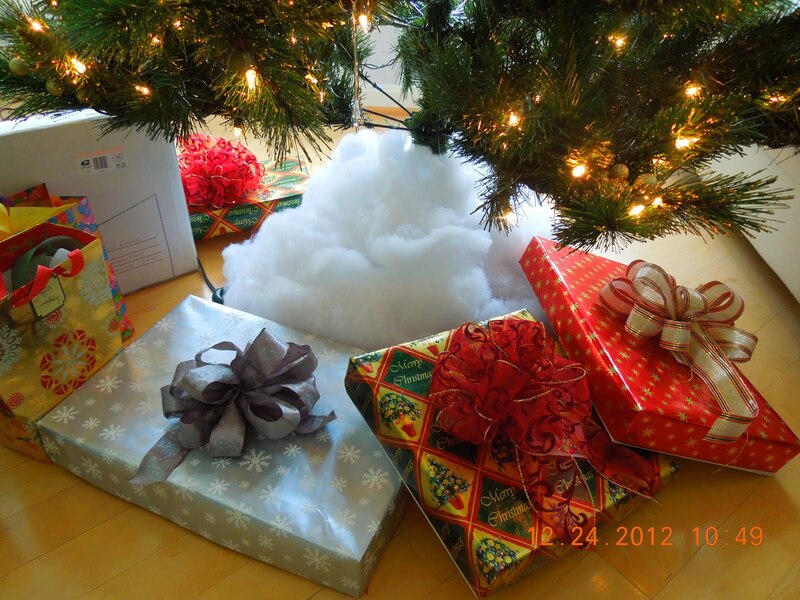 At last I settle down to open my gifts. My youngest son points to a large box under the tree. “That one is for you,” he says as he gets out the video camera. “Now what could this possibly be?” I ask as I dig through the huge pile of styrofoam packing. To my utter joy, there in the box were six cups and saucers from my Lenox china pattern. Somehow when I moved to my new home years ago, the cups and saucers were lost in transit. These six would restore what I had lost and complete the set. 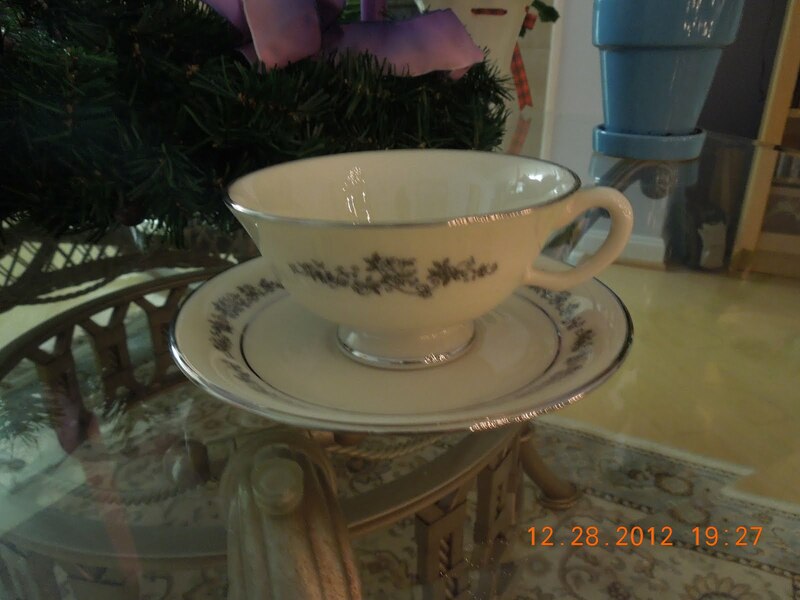 As I gazed upon the beauty of a simple china cup, I noticed the name of the pattern -“Promise”. The Lord is truly faithful. As my beautiful china pattern was restored, know that God is still involved in the process of restoration and completion in each of us – to make us whole, complete and new. As the Christ-child is born anew each and every Christmas, so is the hope of restored relationships, belongings, and good health. Wishing you a wonderful twelve days of Christmas and a happy, healthy and hope-filled New Year! Finished your gift shopping yet? Or perhaps you haven’t even started. What special gift you would like to receive this Christmas? How about the gift of Love? Today is Christmas Eve and we celebrate the fourth week of Advent and the focus is on Love. Love is the most precious gift of all. Yes, love is about giving. Someone asked me last year why I give presents at Christmas. I was stunned. Giving is love in action. Giving shows I care and am thinking about you. Giving is getting out of my selfishness and into your desires, wants, and needs. Giving is about pleasing someone else. Love is what God showed us when he gave us the gift of his precious only son – Jesus, the Christ, so that we could see what Love truly looks like in human terms. Love comes in different forms. Love can be shown by giving forgiveness, kindness, generosity, mercy, and understanding. Love listens, shares, trusts, and touches not just the flesh but the heart as well. Love is spending time with. Love knows no limits. Love is sacrificial, not self-centered. Love endures and hopes. Love believes all things and is pure. Love is loving the unlovely. Love, as it says in 1st Cor 13, never fails. Who can you show love to this Christmas Eve? 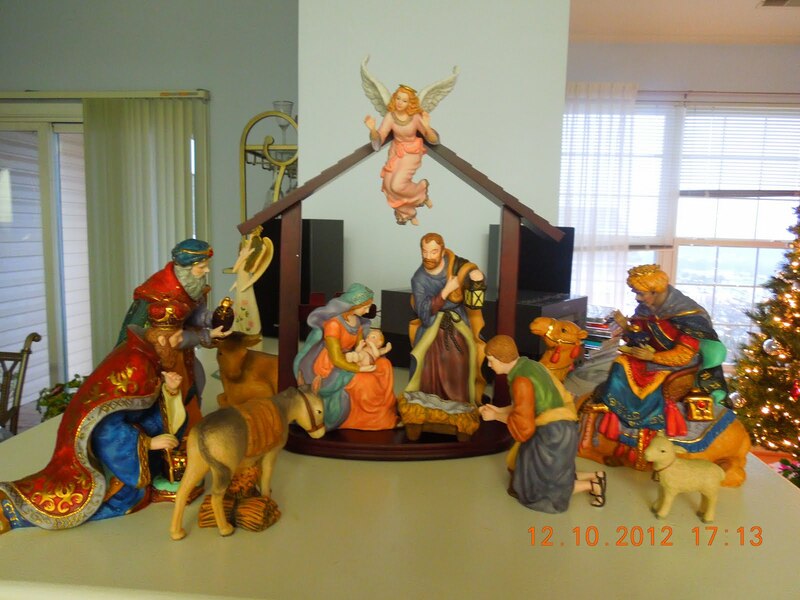 Is there an unwed mother, like Mary, who needs shelter or a place to stay? A weary traveler who needs a hot meal? A baby who might need clothes? Or perhaps a stranger or orphan who has no family of his or her own? Yes, love is a gift and it truly is the most special gift of all. Today, I wish you the gift of love and if you don’t know the Savior, Jesus, the Messiah, then I invite you to invite him into your heart this day. Let the love of God warm the cockles of your heart, melt away the cold, the bitterness, the fear and the hurt that has been there for way too long. You, too, can enjoy the warm and comforting presence of a dear and close friend every minute of the New Year because you will have the best friend of all, Jesus. Wishing you and yours a year full of the gifts of Christmas: Hope, Peace, Joy and Love because truly Christ is with us! Merry Christmas to all of you. 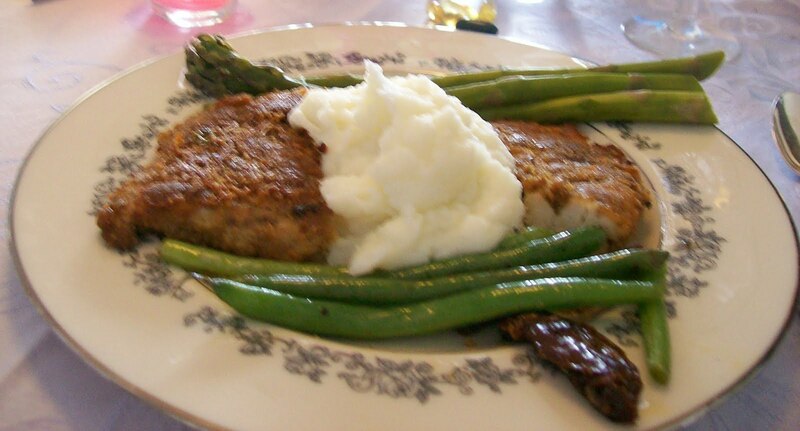 Everyone has a favorite dish or recipe especially at this time of year. Some love eggnog. Others enjoy pecan pie. A neighbor of mine makes 500 homemade ravioli every year for her extended family. My oldest loves stromboli and caesar salad. So what is the tradition or favorite dish at your house? Today I’d like to share with you a favorite recipe of mine. I found it this morning in a very old “cook” book known as the Bible. As we come to the end of the 3rd week of Advent which typically focuses on Joy, I know we can all use some secret ingredients to cook some up. This week has been especially difficult for our country in the wake of the tragedy in Connecticut and our focus may have been elsewhere. I, too, have struggled and have had challenges, believe me. 1. Fill your hearts with the joy of the Lord by remembering that your name is written in the Book of Life. 2. Be considerate in all you do. 3. Add a hefty dose of prayer about everything. 4. Mix well until you feel peace simmering within. 5. Remove any seeds of anxiety, stress, negativity, anger, or unforgiveness. 6. Mix in thoughts of what is true, honorable, right, pure, lovely, and admirable. 7. Sprinkle in excellence and praise. Here is the most important part of the recipe: keep putting into practice all you have learned and remember everything the Lord has done for you in YOUR life. Then you will have both Peace and Joy! Hope these simple steps help you to maintain and grow your joy this season. Until next time, keep looking up! Tragic news of the mass killing in Connecticut rocked the world last week. People’s emotions ranged from shock, sadness and grief to anger and outrage. Even the most peaceful of us found it hard to grasp how such a thing could happen at this joyful time of year. But, many around the world are not joyful and deal with shootings and killings every day. Parents do not know whether their children will come home safely. Some have lost loved ones or have a dear one on death’s door. My own father is precariously hanging on to life. Yet, today marks the third week of Advent and the color of the candle on my wreath is pink – symbolizing both unconditional love and joy. Despite the great evil in the world, we can still have joy and unconditional love. How can this be you ask? Because joy is a calm inner knowing that God is always with us. His name, Emmanuel means exactly that. God came to this earth in the form of a baby to bring us peace and joy because he knew that we would not find these things in the world. Yes, we can have Joy this season despite our circumstances. Jesus is here to comfort us in our time of need. Will you be the hand and feet of Jesus and reach out to bring someone comfort and joy this season? Let the joy of the Lord be your strength and your shield today (Ps. 28:7). He will bring you out of darkness and into His great Light! Have you seen the movie with Sandra Bullock? Talk about an embarrassing and sudden end to a marriage: her husband declares on public television that he is having an affair with her best friend. Many of us have had sudden and life-changing events in our lives: the cancer diagnosis, the financial collapse, the job loss, the breakup. Life seems unfair at best. But the good news is this: there is always hope. Yes, it is true. There is ALWAYS hope and as the movie title suggests, hope can float us while we’re going through the current storm. It is a choice of where we put our focus. As we come to the close of the first week of Advent, the focus this week has been on HOPE. Hope means keeping our eyes on God, instead of our circumstances, knowing that He is in control and has everything under his watchful eye. If we look around us, like the disciples in the ship with Jesus amidst the storm, we will lose hope. The winds of uncertainty and fear are blowing everywhere, just turn on the evening news. But what did Jesus say to the winds? “Be still”. He can quiet the storms in our lives in an instant. That is what the Lord is saying to us today. “Be still and know that I am God” (Ps. 46:1). Hope is a close relative to faith. Hope means expecting good things to happen. Faith is envisioning them to become reality. What is it that you are expecting this season? A job? A marriage partner? A prodigal son to return home? A healing? Believe me, the Lord can do all these if we have hope and faith. I have seen it happen in my life many times. Remember that God has a plan and a purpose for your life (Jer 29:11). So until next time, I leave you with these words: “Nothing is impossible with God” (Luke 1:37). The holiday season is upon us and Christmas is three weeks from today. Are you wondering who’s coming to dinner at your house this year? In years past, I must confess, I have fretted over many things like who was and wasn’t coming to dinner at Christmas, who was or wasn’t coming to church, did I buy enough gifts for everybody, will they like the food ya da ya da ya da. Woe is me. This year I have decided to give all that to the Lord. I am not going to fret about any of those issues. Because you know what? They are all out of my control. All I can do is extend the invitation and trust that those who are meant to be together will be. And you know what else? The most important guest in my house is someone I cannot even touch or see, but I can certainly feel. His name is Jesus. Jesus is the Prince of Peace and he brings his gifts of hope, peace, joy and love. If He is there, then I will be content. When I focus on Him, everything else melts away like the snow when the sun shines on it. My spirit is at peace and my heart is brimming with His great love for me. What about you? Are you fretting over something this holiday season? Is it out of your control? Then I encourage you to give it to the Lord and let him take care of things. He knows what is best and while we may not understand his ways, we know that he is always working things out for our good. Whoever comes to dinner this year, I know it will be joyous for we will be celebrating the greatest gift ever given: the Messiah, Emmanuel, God with us. Thanksgiving is over and now it’s on to the Christmas dash. Yeah, that’s what it seems like for many – a dash to the finish line only to collapse at the end after it’s all over. But it can be different this year. Imagine this scene for a moment: a couple and their child gather together, encircled by strangers and animals, in a land of persecution and poverty. Yet, the family is at peace. There is no hustle and bustle. There is no stress, no fear, no uncertainty. This family has learned that the greatest gift of all is Love. They have each other and their precious new born son. Despite the harsh conditions, the lack of shelter, and being far from family and loved ones, there is a peace that surpasses all understanding because they are surrounded by Love. Just as you and I are surrounded by Love. We may not always feel it, but Love is so much more than a feeling. Love is a knowing. Love is a presence. Love is a gift from above that embraces us every minute of every day. When the pace gets frenetic and the burdens of this life seem overwhelming, I know the answer is not to slow down, but to stop completely, to be still and to reconnect with the presence of God. He is my rest and my refreshment. He is my peace and my joy and He wants nothing more from me than to make time to be with Him. It will all get done. It always does. He sees to that. So I ask you, friend, will you enjoy the presence of the Holy One this season? Will you make this holiday a little more peaceful and a little less stressful on yourself? It can be done, truly. It is simply a choice. And it starts with remembering that you are surrounded by Love.